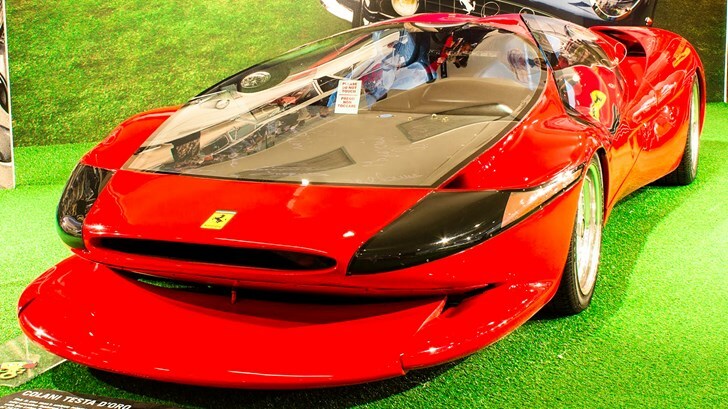 Have you ever seen this unique Ferrari car? Ferrari is well known as a manufacturer of sports cars that have beautiful designs, but seems contrary and so strange while seeing these kind of weird car carried the Prancing horse emblem on it. 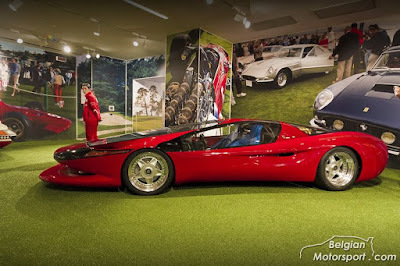 Yes, this car named Ferrari Testa D'Oro Colani created in 1989. 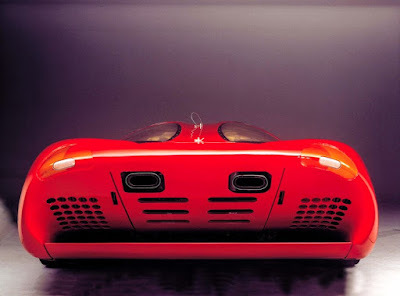 As quoted from Caranddriver, on Friday, June 19, 2015, the sports car was designed by the famous German industrial designer named Luigi Colani. It all started when he was obsessed with the aerodynamics of vehicles, both for speed and efficiency. And through his personal design language, something he has called biodynamic, certainly has contributed greatly to a unique shape to objects he has created. He has built numerous aerodynamic concepts and tested them at the Bonneville Salt Flats. Seeking to break a world record for the fastest production car, he set out in the late 1980s to modify a Ferrari Testarossa to accomplish the task. 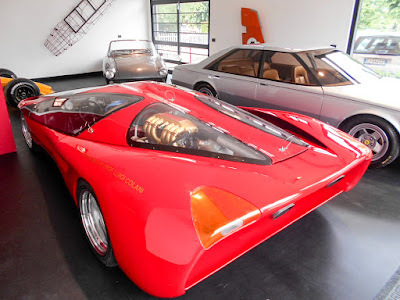 And it seems that the change in design that Colani did to the Testarosa figure (later known as Testa D'Oro) seems to be fitted with a body designed by him earlier for the 1991 Bonneville trials, although the body has since been further modified to the car we see today. It features an outrageously long and flat air splitter at the front, jutting out like a giant tongue. 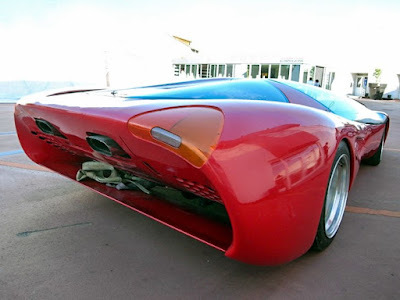 Many of Colani’s designs have spoilers, air dams, pontoons and the like to make the initial engagement with the air and break it into flows that will easily slip over the car. 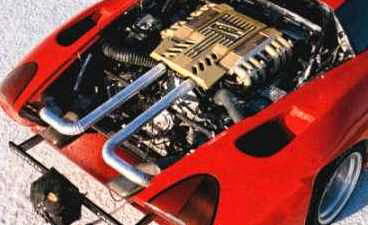 But the Testa D’Oro’s air splitter is an extreme example, and limits the ability of the car to ever be driven on a regular road with intense forward planning. 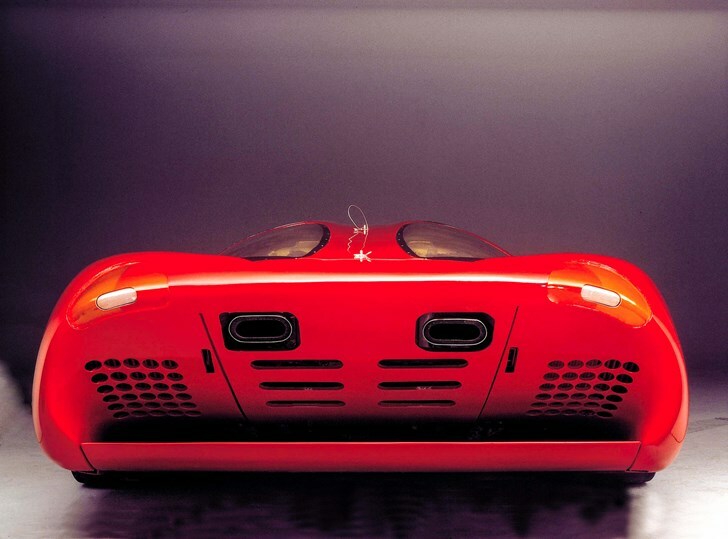 The nose of the car itself is pulled into a taut, oval fish-mouthed shape with an air scoop for the braking system. Over and beyond the nose, where the hood should be, is an enormous windscreen with virtually no curvature – a giant flat plate of glass. The body rises over the front wheels, but dips back down again, leaving space for a large curving side window above. Unlike many of today’s designers, he is not afraid of designing a large, sculptural glasshouse. The glasshouse tapers away as it passes over the Ferrari flat-12 sitting amidships. The body, which was minimised at the doors rises over the rear wheels and forms a short deck. Below this it terminates in a reverse-sloping fascia that contains the exhaust ports and cooling vents for the brakes. 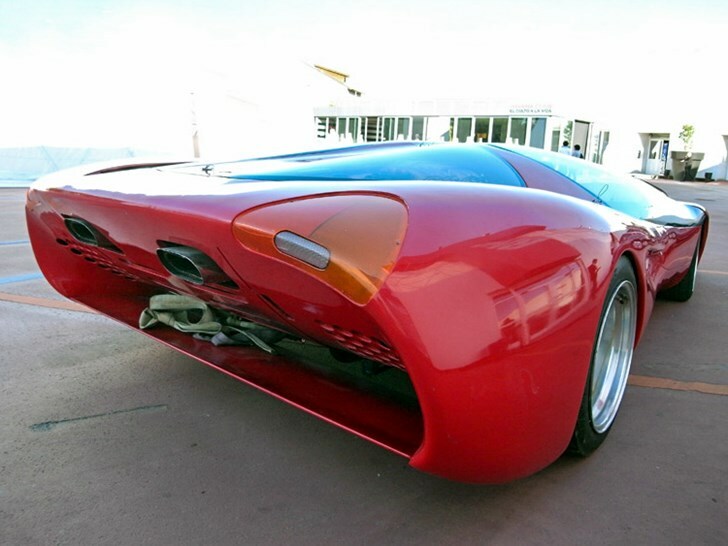 The rear of the body terminates in a soft organic design- no sharp surfacing or jarring angles here. Colani explains, "Why should I join the straying mass who want to make everything angular? I am going to pursue Galileo Galilei's philosophy: my world is also round." Ferrari Testa D'Oro Colani uses a Lotec-Ferrari's 12-cylinder twin-turbo with a capacity of 4,942 cc. This powerfull engine could produces the power up to 750 hp. 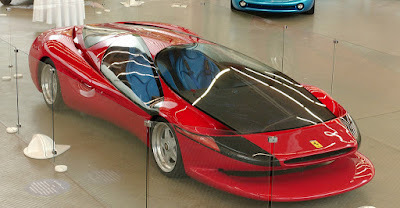 With the power source, this car managed to break the top speed record 218 mph or approximately 351 kilometers per hour. 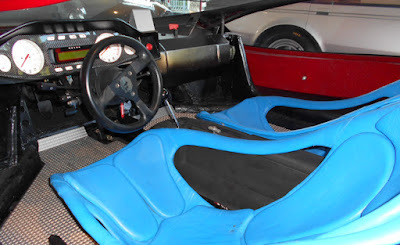 When we entry into the car, its cabin looks very sporty. 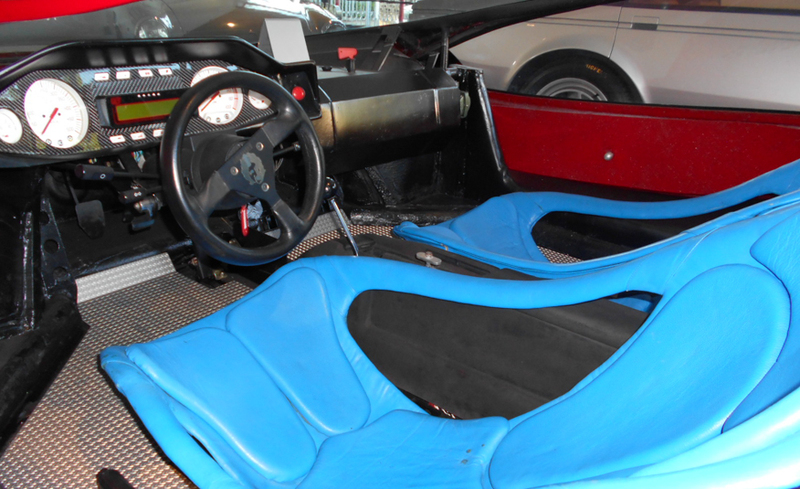 The car's seat using the blue-colored racing model, and the lower deck of the sports car is not covered with carpet, but only using a steel plates. While the dashboard still looks original in black color and has various indicator panel. Loved or hated, there is no denying Colani's voluptuous, expressive creations are quite the counterpoint to the chaste boxes that fill our carparks. And the Testa D’Oro shows us that sometimes a bit of fantasy and a lot of horsepower combine to produce record breaking – and inspirational – results.